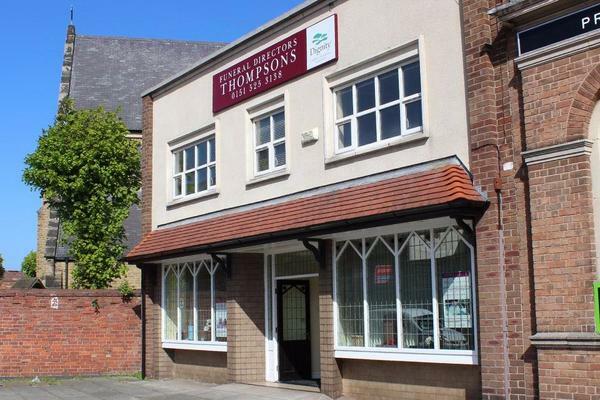 At Thompsons Funeral Directors in Walton Vale, Orrell Park, we are devoted to helping you, just as our founder Mr Ken Thompson would have back in the 1940s. We are here for you every step of the way, offering you peace of mind that your loved one will be looked after with dignity, compassion and respect in the lead up to their funeral. We know that every person is unique and funerals should be no different. To make the day special we will work with you to understand your loved one and organise a farewell that reflects and pays homage to the way they lived their life. No matter how big, small or distinctive your request is we will do our best to cater to your needs. Some of the things you can change include the music, the hymns, the service or type of hearse. Since our establishment, we have conducted funerals of all kinds; whether that be a religious, a humanist, a cremation, a traditional or a contemporary ceremony such as a woodland burial or bright celebration of life. If you would prefer burial we are central to the Everton, Bootle, Kirkdale, Walton Park and Liverpool RC Cemeteries. You can find our funeral home on Walton Vale; opposite the Windsor pub and next door to the Blessed Sacrament RC Church. Orrell Park rail station is a stone throw away, meaning we are accessible from all over Liverpool via the Merseyrail. We are also a short drive away from Orrell, Old Roan, Litherland, Seaforth, Norris Green, Aintree, Croxteth and Bootle. From our six funeral homes across the city, we give the whole of Liverpool an unparalleled standard of care. Our other funeral homes are in Bootle, Netherton, Maghull, Huyton and Tuebrook. Our dedicated team are available 24 hours a day to assist you with your every need; all you have to do is pick up the phone. Call us today on 0151 525 3138 to talk through your personal requirements. There is restricted parking on our road, however you can park for free on surrounding streets. We are on the Walton Vale high street, next to Blessed Sacrament Church. Our staff are available 24 hours a day on 0151 525 3138 if you require our services outside of these hours.